New Delhi: The government is set to unveil a new telecom policy that could lead to consolidation in the fiercely competitive industry and make it more transparent after it was rocked by a scandal that may have cost the government up to $39 billion in lost revenue. The new policy, due to be announced at 3 pm (0930 GMT) on Monday, is expected to include revised rules on the grant and pricing of second-generation radio spectrum, while mergers and acquisition rules for the sector could also be relaxed. Shares in two of the biggest listed carriers, Bharti Airtel and Idea Cellular, were initially lower on Monday, underperforming the broader market, before turning higher. Reliance Communications shares were up. “Regulatory head-winds are always there for telecom," said K.K. Mital, head of portfolio management at Globe Capital Market Ltd in New Delhi. Mital said operators’ costs will rise if spectrum prices are market-linked, and he noted talk that roaming would be made free. India decided to overhaul its decade-old rules for the industry after alleged rigging in the grant of licences in 2007-08 came to light late last year, forcing the then-telecom minister to resign. A probe into the case is on and police have charged 14 people so far, including the former minister. With more than 850 million mobile subscribers, India’s mobile market trails only China’s. But the 15-player market is in the throes of a vicious price war that broke out in the second half of 2009, squeezing profitability. Telecom minister Kapil Sibal, who took over last November, has said the government will separate the 2G radio spectrum that now comes free with licences, and instead ask companies to pay for the air waves they are assigned based on market prices. The minister has also said that companies will be asked to pay market-linked prices for existing 2G radio-spectrum holdings beyond 6.2 megahertz. While mergers and acquisitions rules are expected to be relaxed to help consolidation in the crowded market, Sibal has said the government will not let the number of players in any telecoms zone fall below six. India allocates mobile phone licences by zone, of which there are 22. New rules are also expected on the renewal of telecom licences and companies may be allowed to share and trade radio spectrum. 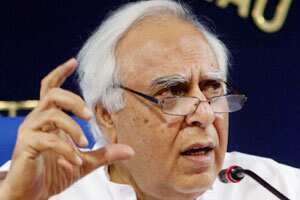 Sibal has said telecom licences should be renewed for 10 years, compared with 20 years under the existing rule. The new policy is expected to include measures to facilitate the funding of network roll out by operators, which have been squeezed by a drying up of bank loans in recent months. Among other measures, the government may allow nationwide free domestic roaming for mobile subscribers and allow users to retain their existing mobile number even if they switch telecom zones.